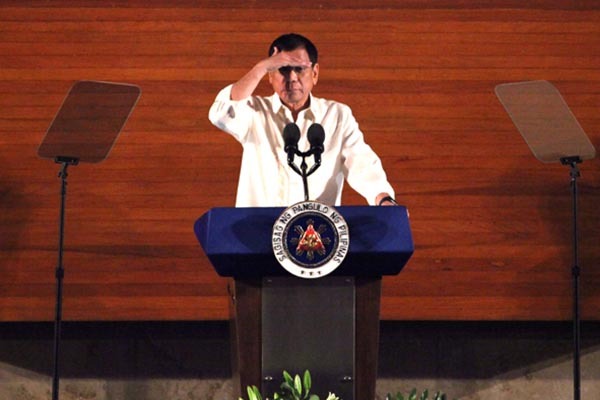 July 25 2016 - Exactly 25 days since his inauguration, President Rodrigo Duterte has gotten the ball rolling on almost half of his biggest and most ambitious promises. The INQUIRER had compiled information to measure his words against his actions as the country’s 16th President. In the run-up to his oath taking, INQUIRER Research and INQUIRER.net had put together 30 promises Mr. Duterte had made during the election period as a presidential candidate. Many of these promises are even slated to be accomplished in a mere three to six months. The President, with the help of his Cabinet, has so far focused on fulfilling 14 promises that pertain to drugs, crime and general peace and order in the country, all of which he had continuously vowed to focus on even before assuming the presidency. In his first State of the Nation address later today, Mr. Duterte is expected to include these promises and other mandates he has accomplished in his first month in office. Other promises in progress are related to curbing graft and corruption, economy, job security, foreign policy, infrastructure, the environment and traffic. The other 16 that have yet to gain serious traction include promises related to federalism, education and the improvement of the country’s internet speed, which is considered one of the slowest in Asia. One of the 16 promises, however, can no longer be fulfilled: Pardon former President Gloria Macapagal-Arroyo. On July 19, Arroyo was acquitted of charges of plunder for misuse of Philippine Charity Sweepstakes Office intelligence funds in 2011.